Helena Table Tennis Club (HTTC) is located at the Broadwater Athletic Club & Hot Springs, 4920 W US Highway 12 in Helena, Montana, USA. HTTC was formally founded in 2011. Our equipment at the Broadwater Athletic Club consists of three great Stiga tables, along with paddles, balls and a table tennis “Robo Pong” robot and is there for our use every day. 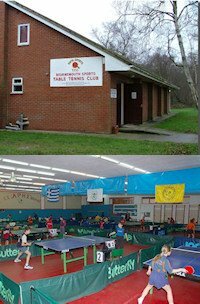 Broadwater Athletic Club members play table tennis free any time. For others there is a $5 fee per session. 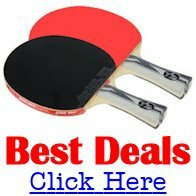 Helena Table Tennis Club sponsors regular round-robin tournaments that are announced via e-mail from our club e-mail address. We hold an annual "Helena Forrest Gump Memorial Table Tennis Tournament" in early June. Helena players were getting together for many years at various locations before Don Hurd and Frank Kromkowski started the club in 2011. Although founded in 2011, the club traces its lineage to the South Bend (Indiana) Table Tennis Club founded in the 1930s by John Varga (USATT Hall of Fame member).